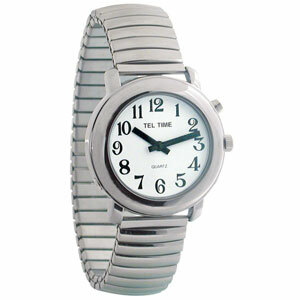 Unisex Tel-Time Chrome One Button Talking Watch with Chrome Expansion Band. • One Button Chrome Talking Watch. • Talking Time Announcement Only.